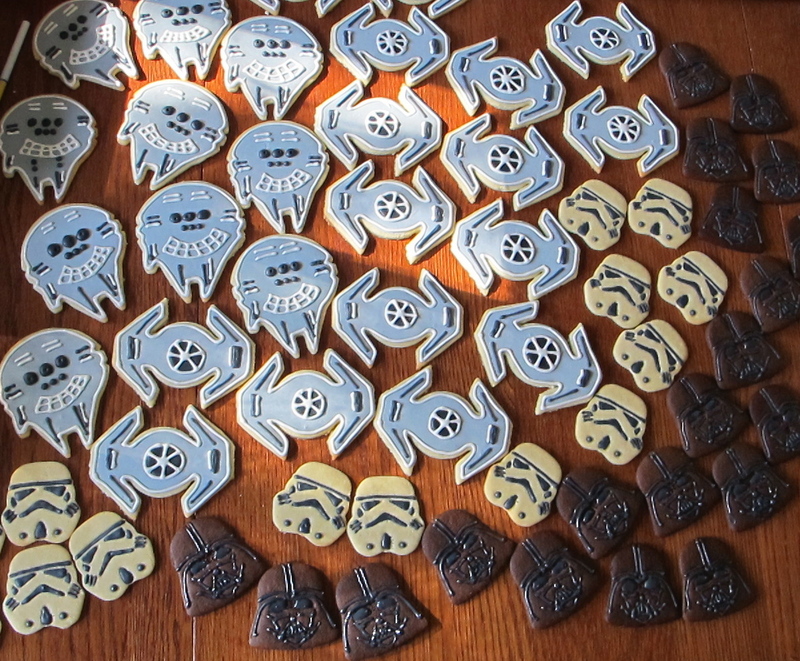 Here are some cookies I made for the R2-D2 party I had for my son. Somehow, I forgot to add them…. 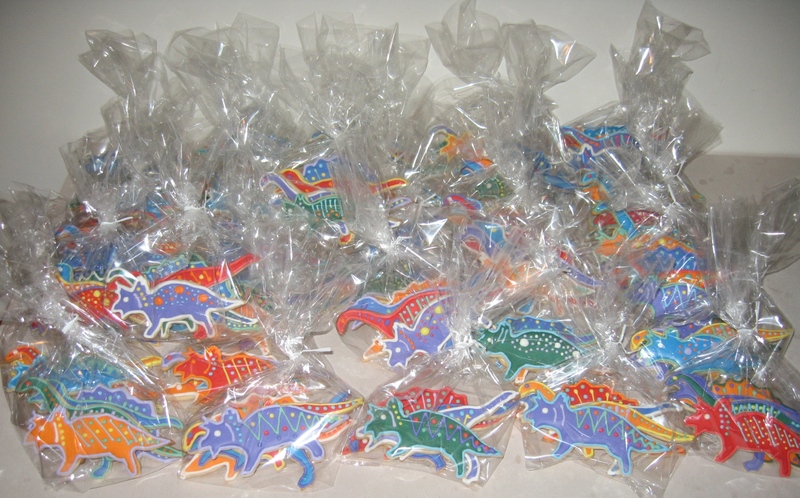 I made them as party favors and gave out extras to my co-workers. 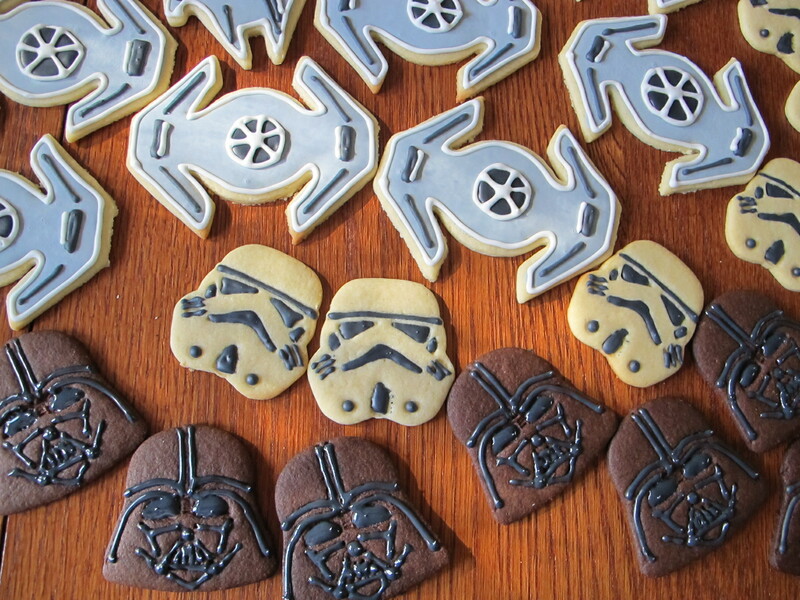 The storm troopers and Darth Vaders were made using the William’s Sonoma cookie cutters. 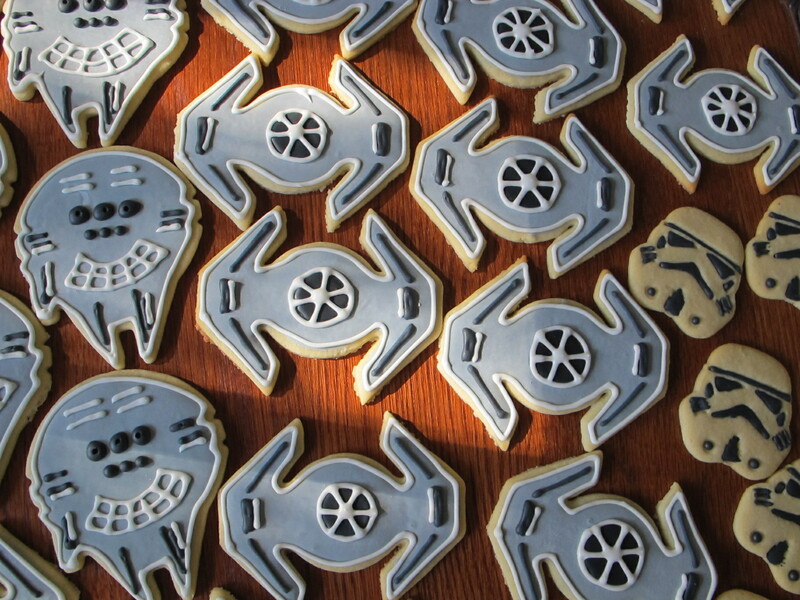 The tie fighters and Millennium Falcons were made from sandwich cookie cutters also from Williams Sonoma. I also made Yoda cookies, but somehow missed taking pictures of them! 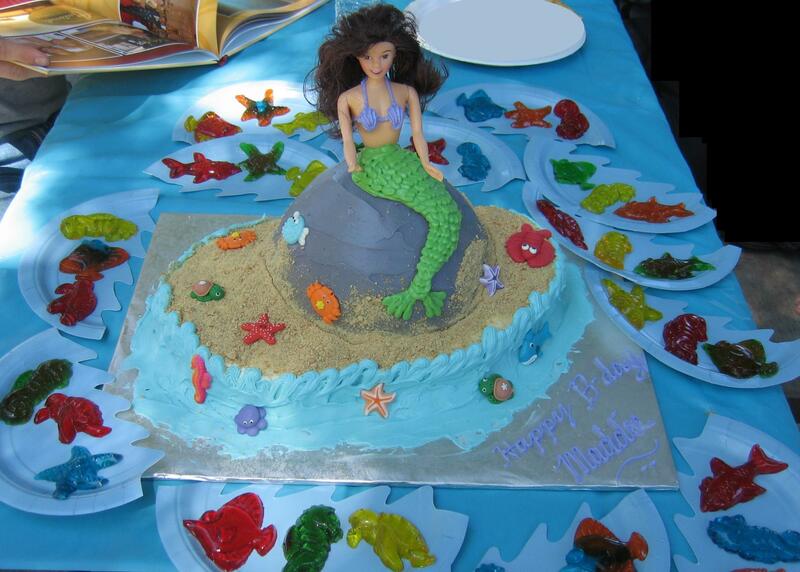 My daughter requested a mermaid cake for her 3rd birthday party. 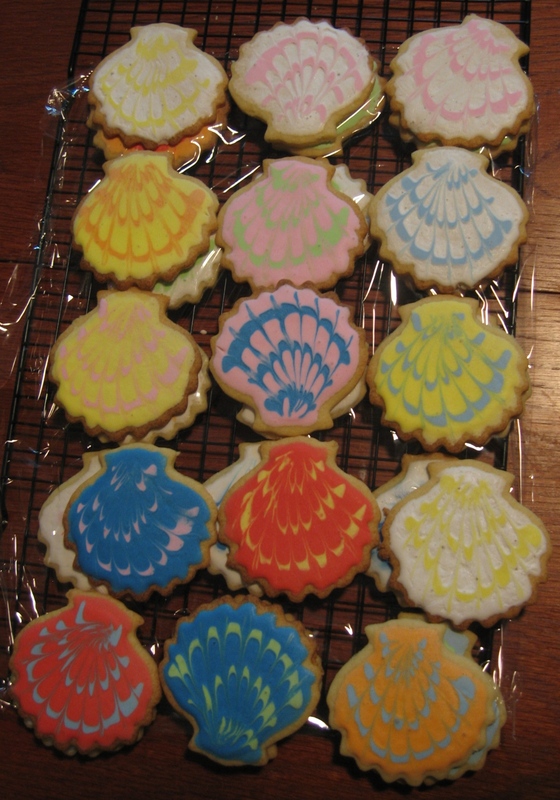 I was debating whether I wanted to do a sea theme or just a mermaid cake, then decided to do the sea theme. 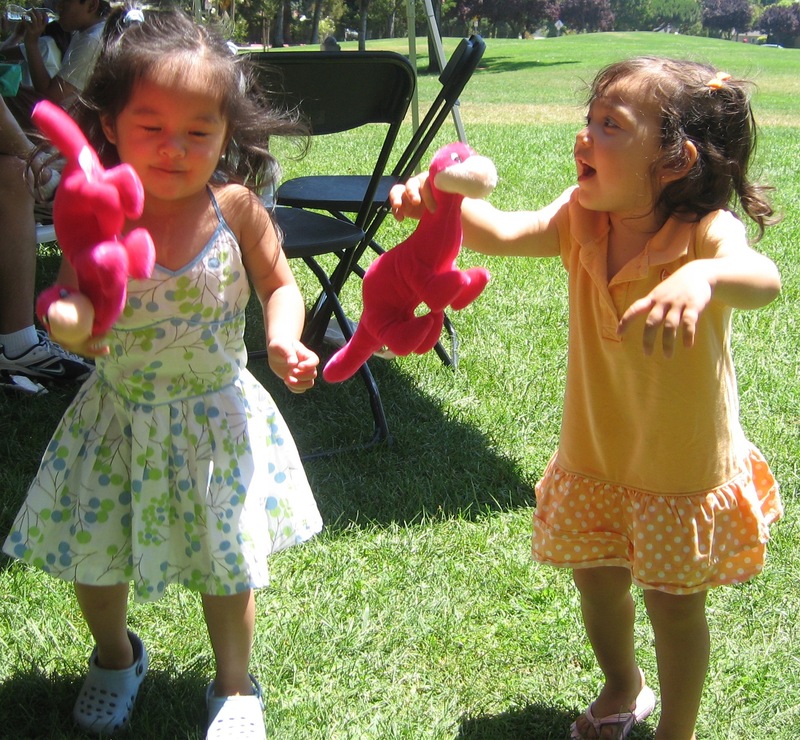 This way, the games can be made to suit boys and girls at the party without being to “frou frou”. I over-planned as usual, but did not have to pull an overnighter this time around. 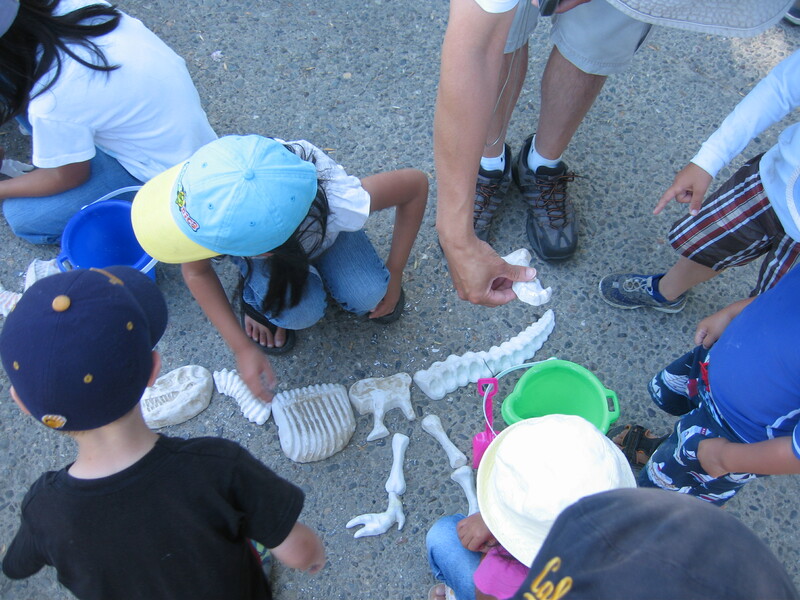 The kids enjoyed playing seahorse hunt and limbo. Here is the carrot cake decorated with cream cheese frosting, crushed graham cracker for sand, and royal icing sea creatures. 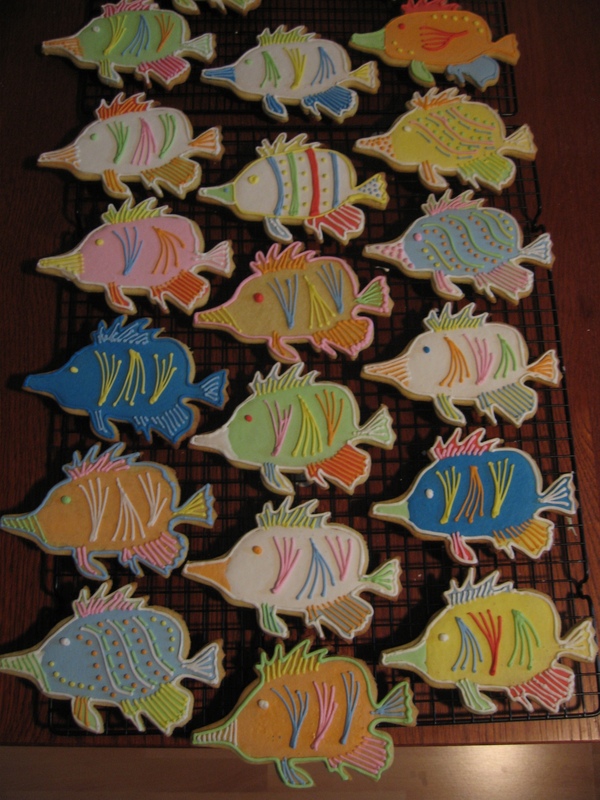 My sister-in-law made jello shaped fish, sea turtles, starfishes, and seahorses, which were a hit with the kids. 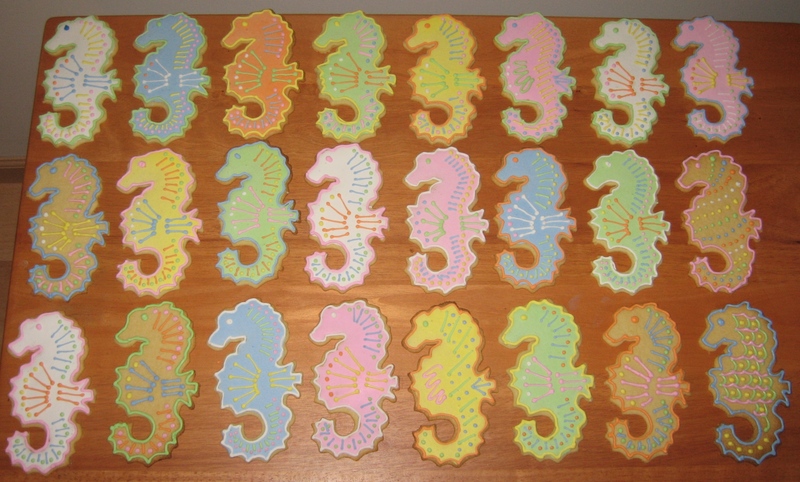 I also made seahorse, seashell, and fish cookies as prizes and party favors for the kids and guests. 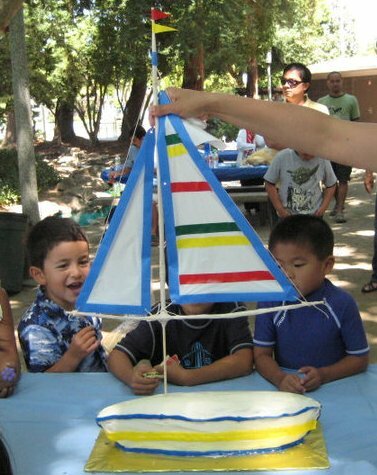 My son wanted a sailboat themed party for our annual summer birthday party. I totally went overboard…especially after having started a new job. I over-planned and as a result, didn’t have a eye-popping sailboat to unveil (and had to pull an over-nighter). On the bright side, the kids had a wonderful time making and decorating sailboats out of orange juice boxes and multi-colored electrical tape. 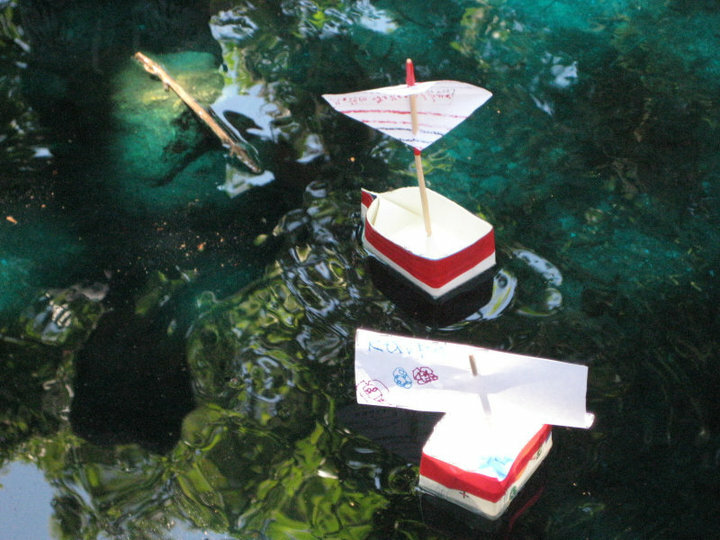 As a bonus, they got to race their sailboats in a small creek by our picnic area. They also enjoyed throwing the anchor (see could toss it farthest) and raising the sails (who could raise the sail the fastest) as part of the party activities. 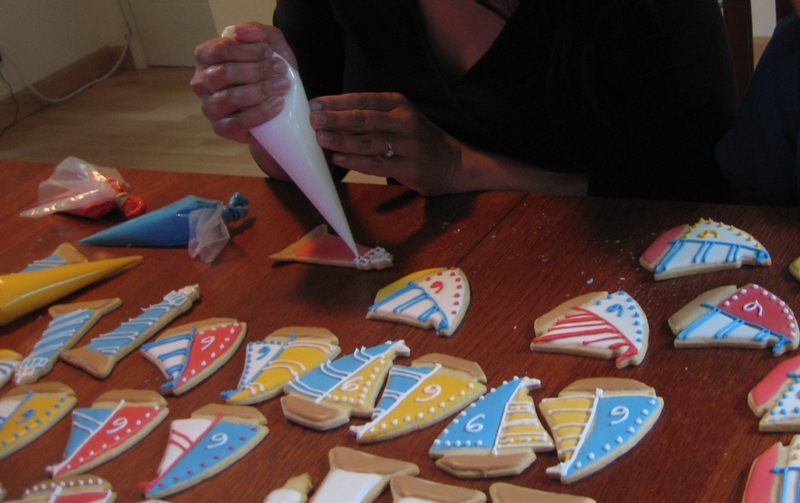 Apart from the sailboat cake, I also made sugar cookie sailboats, trophies, and lighthouses which I used as prizes for the different activities. 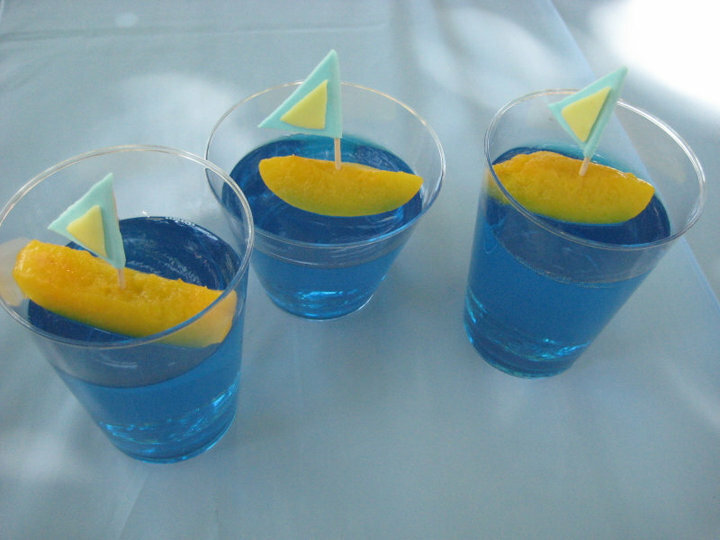 I asked my sister-in-law to help me make jello sailboat cups made from canned peaches. And my brother carved a watermelon boat for the fruits. 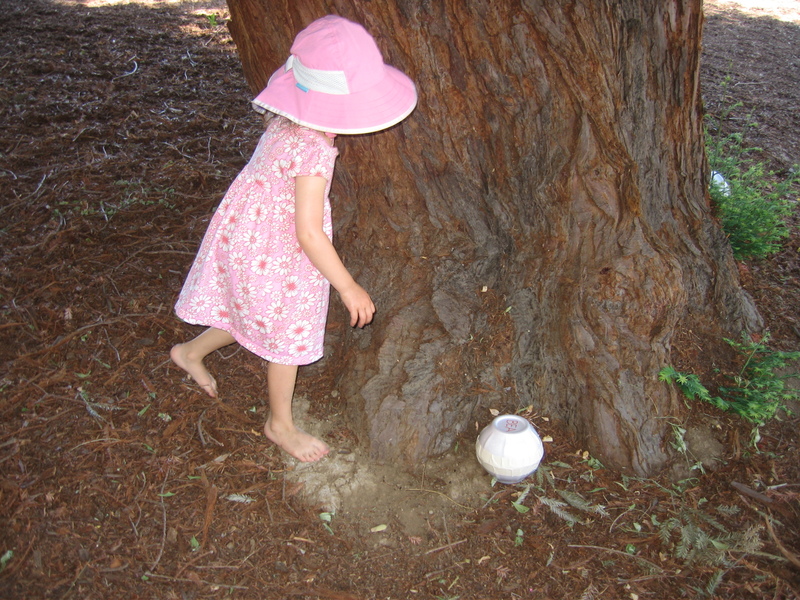 For my son’s 5th birthday (yes, again…we wanted to celebrate it in the beautiful summer weather! 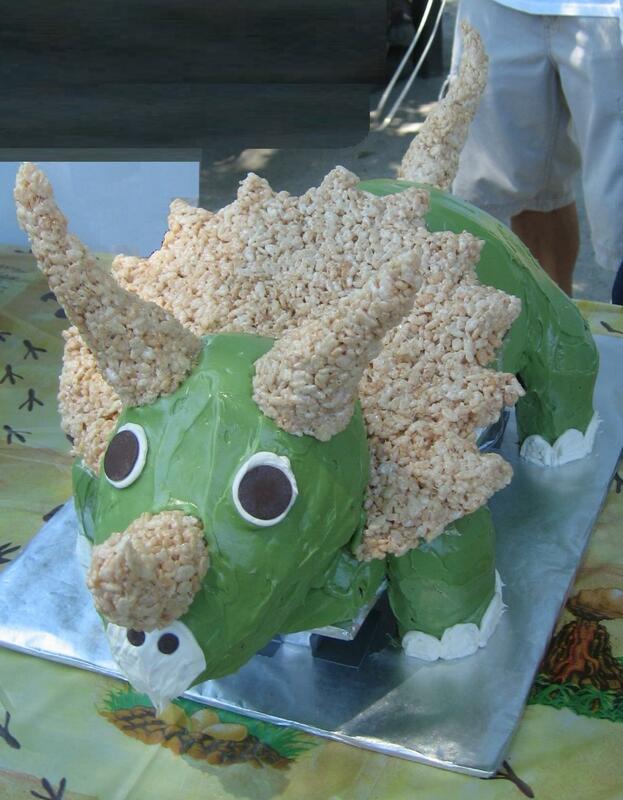 ), he wanted a dinosaur themed party. 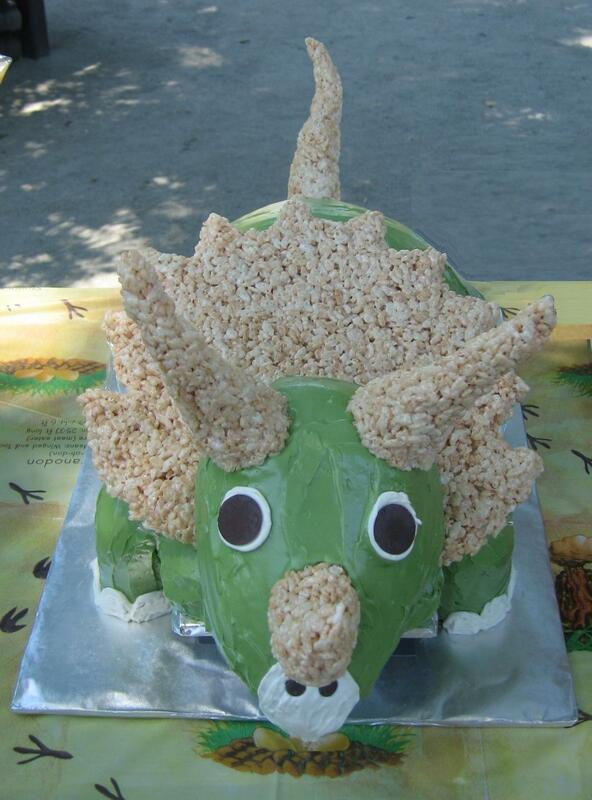 He couldn’t make up his mind what kind of cake he wanted, then finally chose a Triceratops cake. The body is made of chocolate cake semicircles, stacked, with rounded sides up. The legs are made of carrot cake baked in tomato sauce cans and the head is made of carrot cake baked in an egg shaped pan. As you may have guessed, I made the horns, tail, and crest out of rice krispies treats. 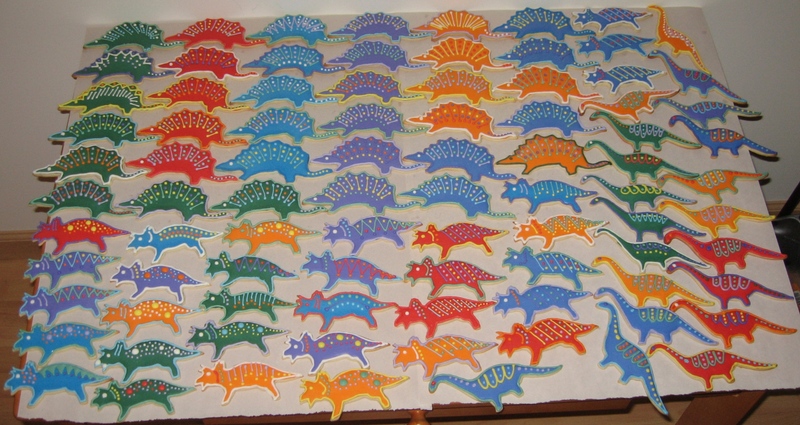 I also made ~200 dinosaur cookies (brontosaurus, tyrannosaurus, triceratops, stegosaurus, pterodactyl) to give away as prizes for the games. What a fabulousaurus day it was! 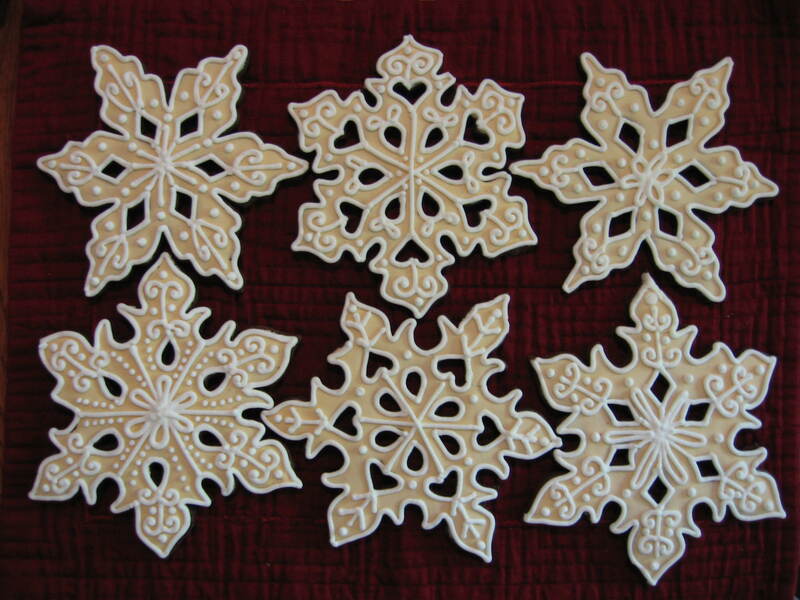 It felt like Christmas perusing the cookie cutters at different shops! 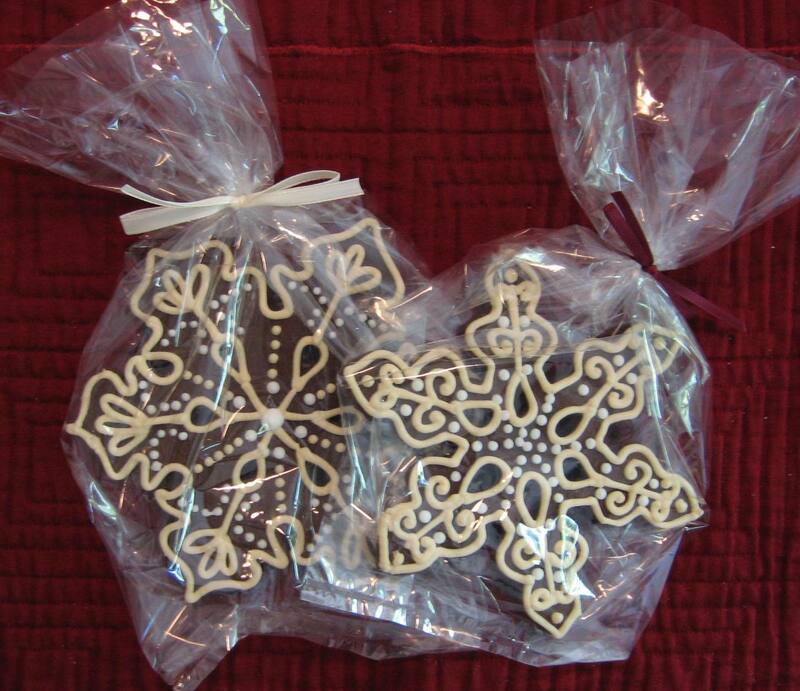 So I decided to take some home for my stocking this year, not to mention the chocolate rolled cookie recipe I came across to boot! 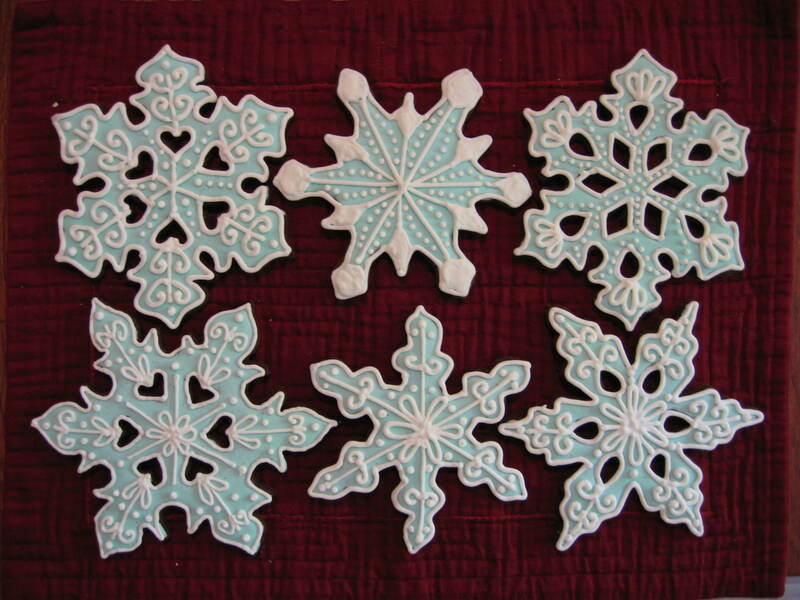 Because I couldn’t wait until the end of year to make snowflake cookies, I decided they would be a cool welcome for this hot summer. 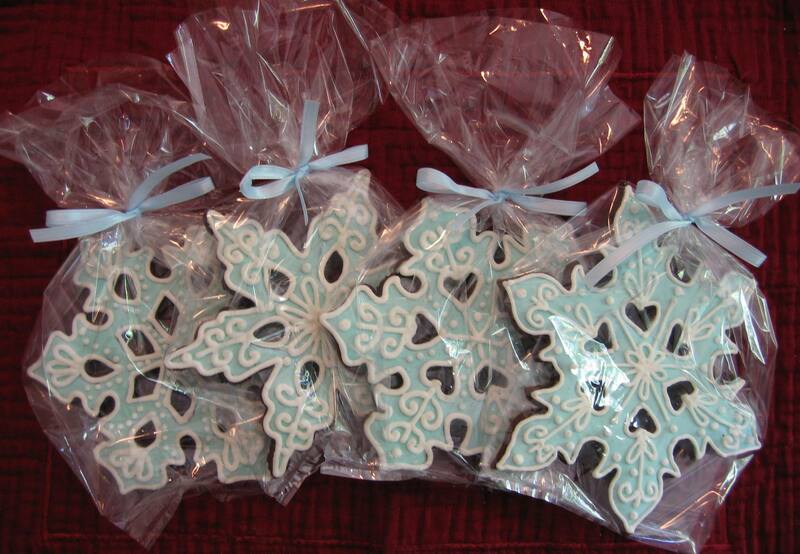 I forget how many actual snowflake cookies I made, but it was quite a bit. 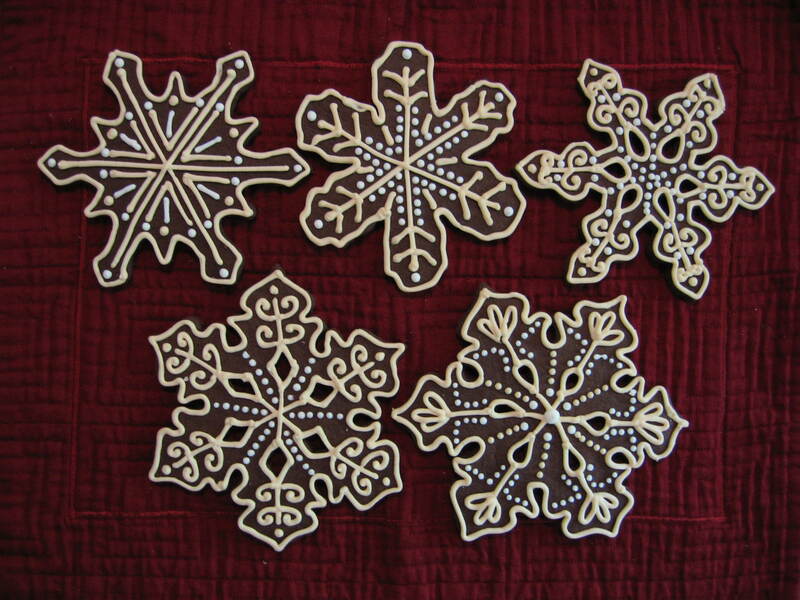 I really liked the dark cookie contrast to the light icing I got last time I decorated the snowflake cookies, so I decided to try it again. 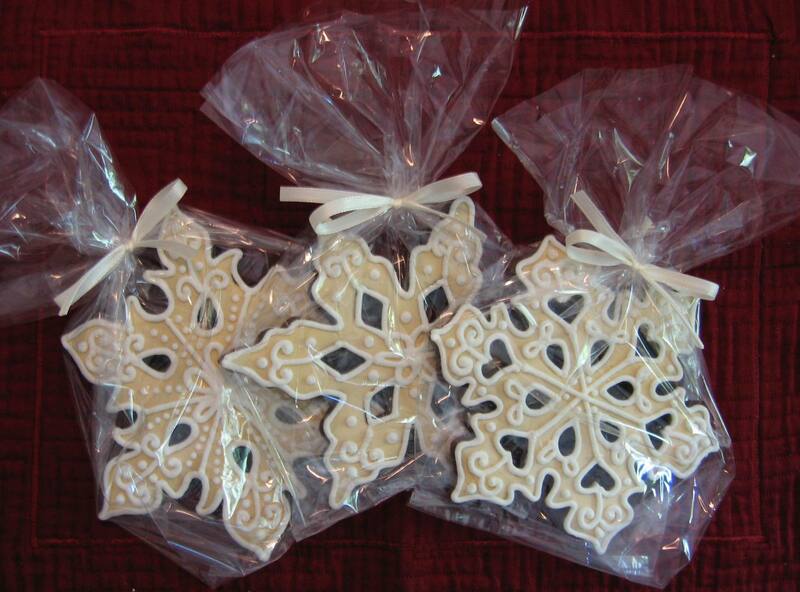 Here are a sampling of the finished products. Which do you like the best?